OK, that was not bad at all. But I guarantee that the Kate who the Zygon Clara spoke to at the end was actually the real Kate. tony ingram wrote: OK, that was not bad at all. I enjoyed it. A bit dark, and heavy on the Middle East references, but well done. Seems to have sparked controversy, over here. Some saying Doctor Who should do this sort of thing more often, others that it should stay away from politics altogether. tony ingram wrote: Seems to have sparked controversy, over here. Some saying Doctor Who should do this sort of thing more often, others that it should stay away from politics altogether. I have never understood the pure escapism stance, that fiction should never reflect anything about the real world. I would find that boring. Although, from what I've seen, people don't mind references to the real world if they agree with them. I think it's telling us: "Some people are nice, but some people should be feared." Perhaps that message is so simple that some people can't see it. Lucy McGough wrote: I think it's telling us: "Some people are nice, but some people should be feared." And you can't tell who's who just by looking at them. I don't know that there was a specific message, just that they used some real world ideas for their fiction. Or that you can never really tell if YOU are the evil twin. I suppose the evil twin would never see themselves in that role. tony ingram wrote: I suppose the evil twin would never see themselves in that role. I'm not sure, my niece wants to be a supervillain. I think she'd be happy to be the evil twin. I always wanted to be a Bond villain. I basically just want the huge undersea base. tony ingram wrote: I basically just want the huge undersea base. I'll live anywhere where other people aren't around. You'd need people to do the catering. And the plumbing. You can't do your own plumbing if you're a supervillain. Lucy McGough wrote: You'd need people to do the catering. And the plumbing. You can't do your own plumbing if you're a supervillain. I think the minions handle that. 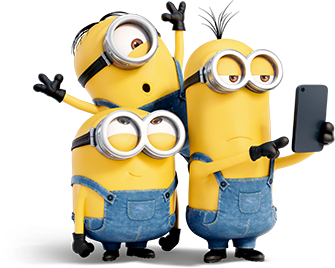 tony ingram wrote: I think the minions handle that. You going to have little yellow ones, like in the film? No, I favour the classic private army of leather clad Amazons. If nothing else, those ARE funnier.